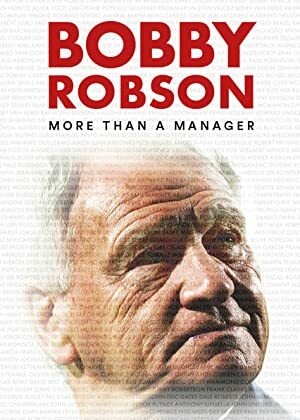 Bobby Robson: More Than a Manager (2018) – What's New on Netflix Canada Today! In the summer of 1995, Bobby Robson was diagnosed with cancer and given just months to live. Miraculously, in less than a year, Robson was managing the legendary F.C .Barcelona – motto ‘More Than a Club’. But Bobby Robson was more than a manager. The miner’s son from Newcastle played for his country. When he transformed Ipswich into European winners it was clear his real talent lay in coaching. Fearless, his gift was to be at his best when the worst threatened. Via the “Hand of God”, Gazza’s tears, England’s greatest World Cup abroad to titles in Europe’s top leagues, including a Barcelona treble, Robson overcame the most extreme challenges before a career like no other came full circle when he returned to ‘save’ his beloved Newcastle United. Many of today’s great managers owe their rise to Robson; a daring coach who could spot genius and help it grow. Starring an A-list cast (Mourinho, Guardiola, Ronaldo, Gascoigne, Shearer, Lineker, Sir Alex Ferguson) never-before-seen archive and emotional testimony from Lady Elsie Robson, this is the definitive portrait of one sport’s most inspirational, influential figures – whose legacy lives on far beyond the football field. A pioneer, mentor, and game-changer.